Thermoplastic molding and tooling can make or break an injection molding operation. 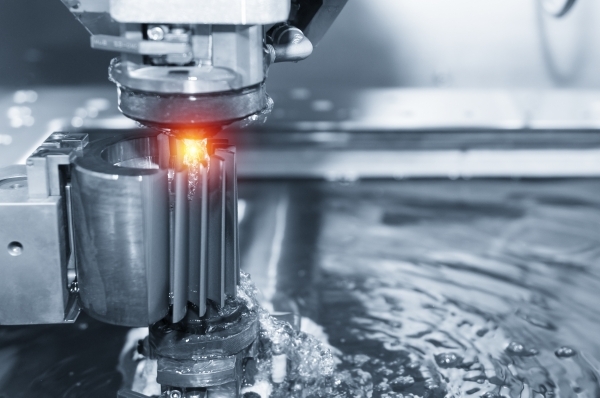 While it may seem expensive up-front, the efficiency and longevity that is gained through proper design, maintenance, and repair make tooling and molding cost-effective. However, because of the initial upfront cost, it’s important to be precise and accurate the first time. During injection molding, molten plastic is injected into a mold that is then cooled and extracted. If the mold is designed correctly, it will repeatedly produce large volumes of plastic components with high accuracy. The mold and all of its components make up the tooling, and its design has significant impact on the quality and wastage of the final product. Lomont Molding’s state-of-the-art tooling facility, with approximately 5,000 square feet, employs experienced tool designers and mold makers who are fully equipped for mold construction, repair, and scheduled mold maintenance. They are knowledgeable in all types of materials, mold bases and tool construction, and will work with you to create the thermoplastic tooling you need for your application. Creating a mold and choosing the best tools for the job have a direct affect on the quality of the resulting product. Tool design involves deciding on the components and machinery that will be used to create the desired product. Injection molding tooling consists of three parts: the core half of the mold, the cavity half of the mold, and the ejector pins. They can also include additional components like pins, bases, lifters, guides, bushings, and alignment devices. Preliminary design models are created to determine the mold sides and steel sizes. These designs need to be reviewed and approved before mold construction can begin. The tool builder is given the specifications and makes any final adjustments and examines the design for accuracy and manufacturability. Gates: These are openings at the end of the runners that direct the flow of molten plastic into the mold cavity. When determining the best gate types and locations for a particular mold, engineers examine what will achieve the best flow, fill pressure, cooling time, and dimensions/tolerance. Finish and Texture: The surface finish of a part is determined by mold cooling and part cooling. Molds can also be designed to apply a texture or pattern to the mold surface. Textures can help reduce wear and friction and can also allow for graphics or logos to be placed on the part as well. In order to maintain the operation and efficiency of thermoplastic tooling, regular and systematic mold maintenance should be occurring. The injection molding process can cause wear on a mold, resulting in rust, cracks, trapped air in the mold, and material residue. If left untreated, this can lead to part defects, premature mold failure, and even machine damage. Preventative maintenance should be regularly performed and should not wait until damage has already been done. Mold maintenance can be many processes including disassembly, troubleshooting, mold repair, cleaning, and assembly. It’s important to clean mold cavities of dust, debris, and water, and to inspect the mold and its components. 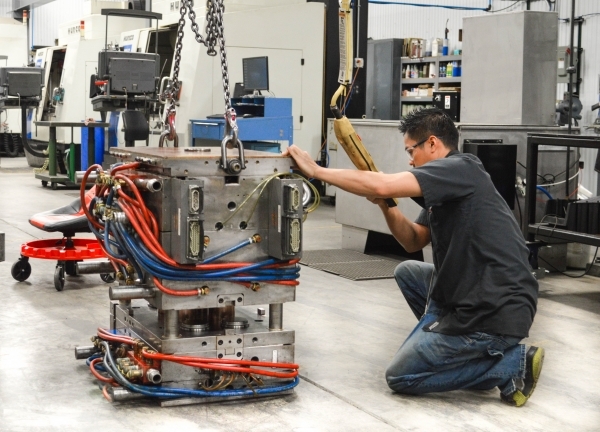 Our state-of-the-art tooling facility employs experienced tool designers, mold makers, and journeymen. With nearly a century of experience in all types of materials, mold bases, and tool construction, our team of mold designers and tool builders have the expertise to assist in any stage of tool creation and maintenance. In addition to in-house tool building, we have cultivated relationships with foreign and domestic tool builders. Contact us today to learn more about our injection molding process.